When you keep tropical plants in a tropical environment, you naturally get quite a few pests. This is inevitable – flies like the conditions of a tropical environment. Now I’m not comfortable killing flies – I know this may sound crazy but in general they don’t harm me and they don’t harm the plants. However sometimes there are too many or they lay their eggs and then the babies hatch, and then you’ve got real problems. But I’ve grown up now and know better. All this plant eats is flies. And if you look closely, the trap in the middle has actually closed and you can see the remains of a fly. So it’s doing its job which put a smile on my face today. There’s a couple of leaves that have gone black and died, but the bulk of the plant is very healthy and active. I don’t know how many of these traps I will need for our tents but quite a few. Nevertheless I’m a lot more comfortable with they way they deal with flies, so I don’t have to. 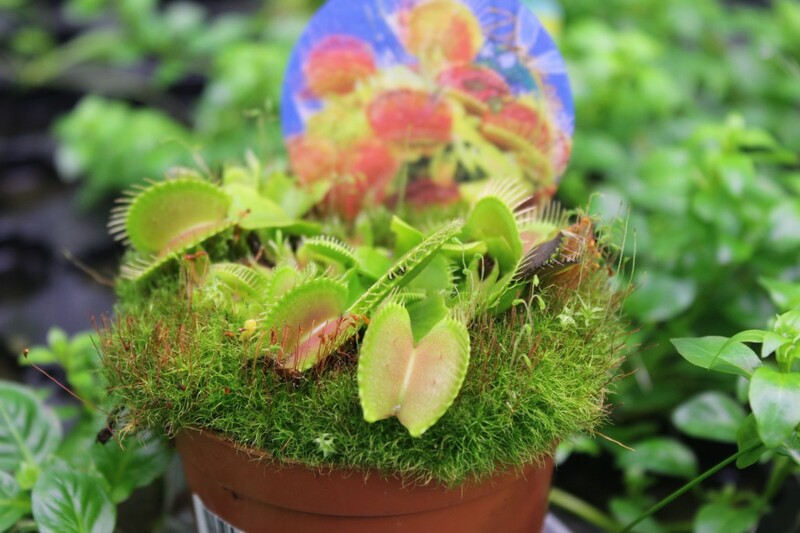 Do you have a venus fly trap at home or maybe something similar you could suggest? I would love to hear about your experiences with them.